So I had this bottle of Pumking from Southern Tier that I wanted to make something with. I use Southern Tier's beers in dessert recipes a lot. I almost used Pumking to make an ice cream with caramel swirls, which I'm sure would have been awesome, but I ended up making a quick pumpkin mousse instead. 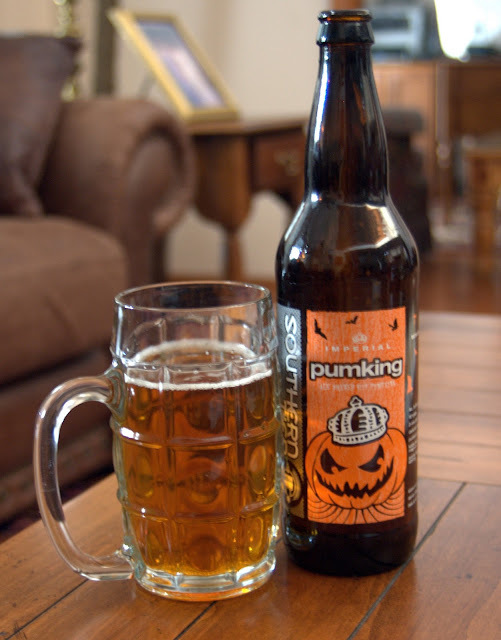 This is definitely one of the best, if not the best, pumpkin beers you will ever try. Unfortunately, it is sold out at most places until next year so you'll probably have a hard time finding it. I guess this post is a little late. Is that mean? For me to write about this and then say you can't have any? Sowey. Anyway, this beer has some nice strong spice flavors and tastes like a really good pumpkin pie. My mousse almost feels like an edible version of Pumking. 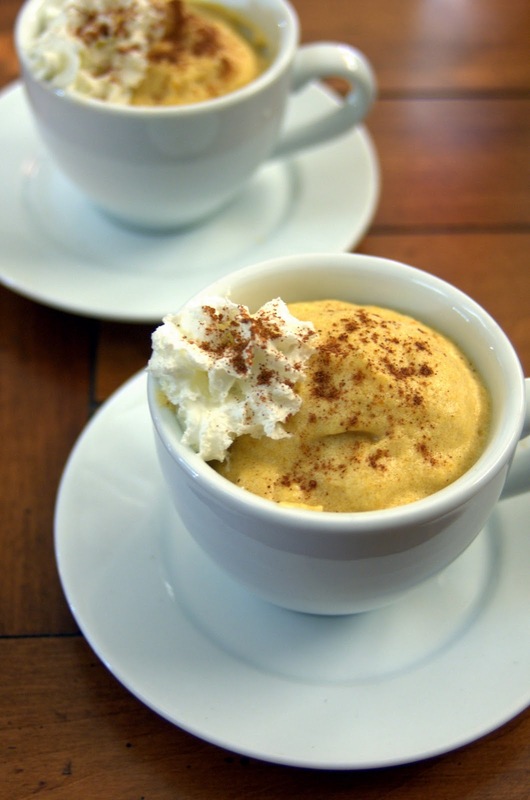 Along with beer and eggs, I used pumpkin puree, cinnamon, nutmeg, and brown sugar. The pairing of the mousse with the beer was also spectacular. Really, how could it not be? Then I got to thinking about a Pumking smoothie. You know, like an awesome mixed drink. So I made one of those too (not pictured). Pretty much the same stuff from the mousse, minus the eggs. I could really experiment all day long with this beer. Here is my recipe. And just a warning, it contains raw eggs. Separate the egg whites and yolks into two bowls. Add the sugar to the egg whites and beat with an electric mixer until stiff peaks form. Add the brown sugar, pumpkin puree, beer, cinnamon, and nutmeg to the egg yolks. Stir to combine. Gently fold the contents of the two bowls together. And that's it. Takes 2 seconds. Okay maybe a little more, but it's really easy. You can eat it right away or let it set a little bit in the fridge. 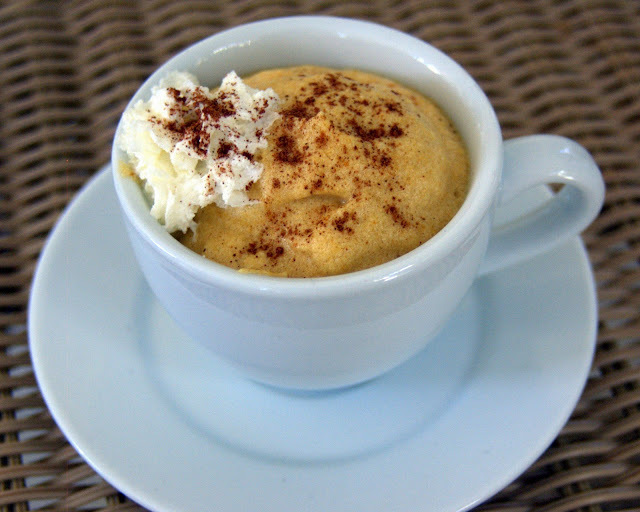 I topped mine with a little whipped cream and cinnamon.